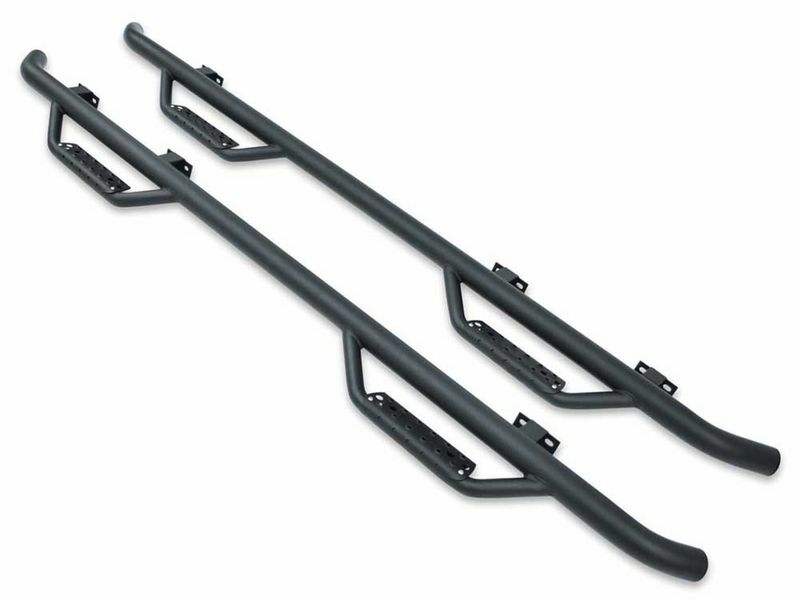 No truck is complete without a set of sturdy sidesteps. When you talk about quality, value, and great looks, Go Rhino dominates them all. The Go Rhino Dominator D2 Cab-Length SideSteps give you a heavy-duty drop-down side step for each seating row and step pads that secure your step like a pro.